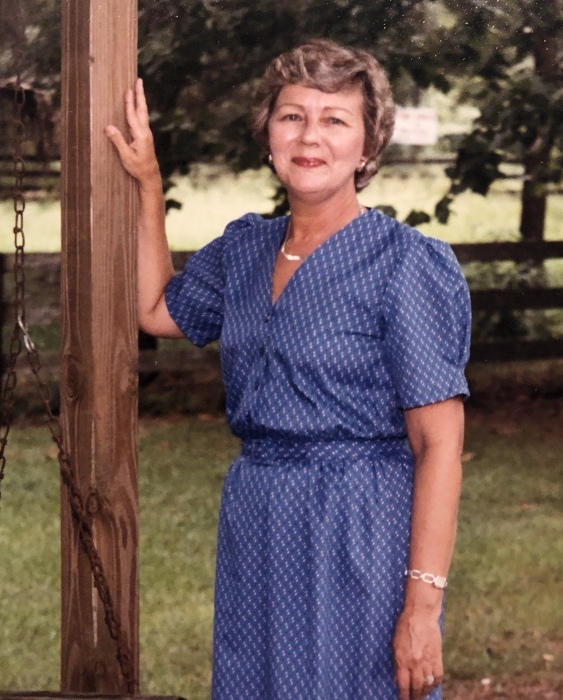 Ocala - Sybil Kay Lewis, 79, passed away peacefully January 28, 2019. She was born May 18, 1939, in Williston, FL. She was preceded in death by her dad Perry Warren, mother Estelle Warren Deen and her beloved stepfather John Deen, who helped raise her since she was 3 years old. Kay spent her early childhood years in Ocala Fl and graduated from Winter Haven High School. She attended Wesleyan College in Macon Georgia and graduated from Florida State University in 1961. Kay returned to Ocala and taught second grade with the Marion County School System retiring after 40 years. Her passion was teaching kids to read and write. She had a special knack for inspiring children to excel, even if they had a learning disability. She taught over three generations of family’s children and was often a requested teacher by many parents. She is survived by her loving husband, Dewey A. (Bubby) Lewis; son, John Warren Lewis; daughter, Sally Marie Lewis; sister, Suzie (Deen) Mann and grandchildren, Makayla Elaine Lewis and John William Lewis. Kay was a member of the First Baptist Church of Ocala. She loved raising and training her many Shetland Sheepdogs and her last surviving dog Tucker. She was active in her early years raising her children and attending horse shows, dog shows and 4-H events too numerous to count. She loved to cook for her family especially around Thanksgiving and Christmas. Her home was always a “go to” place for a home cooked meal and a homemade dessert. Kay battled Alzheimer’s disease for many years prior to her death. Memorial service will be February 2, 2019 at 2:00 pm in the Fellowship Hall of First Baptist Church of Ocala, with Dr. Ed Johnson officiating. She will be laid to rest at the Millwood Cemetery, in Reddick, FL. Arrangements are under the care of Countryside Funeral Home, Anthony, FL. In lieu of flowers please make donations to Marion County 4-H Foundation 2232 NE Jacksonville Road Ocala, FL 34470 for youth scholarships or the Alzheimer’s Association of Central & North Florida 2180 West State Road 434 Suite 1100 Longwood, Florida 32779.